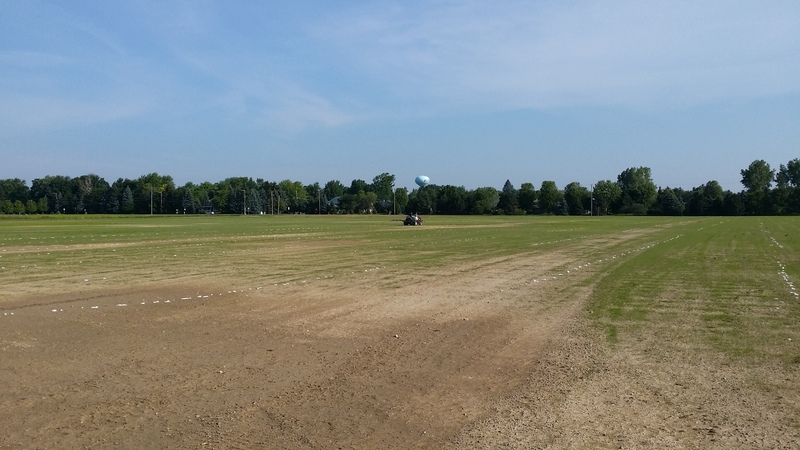 SJSC SOCCER COMPLEX | St Johns Soccer Club Inc.
MAY 7, 2015 - Spraying herbicide to kill off all field vegetation. 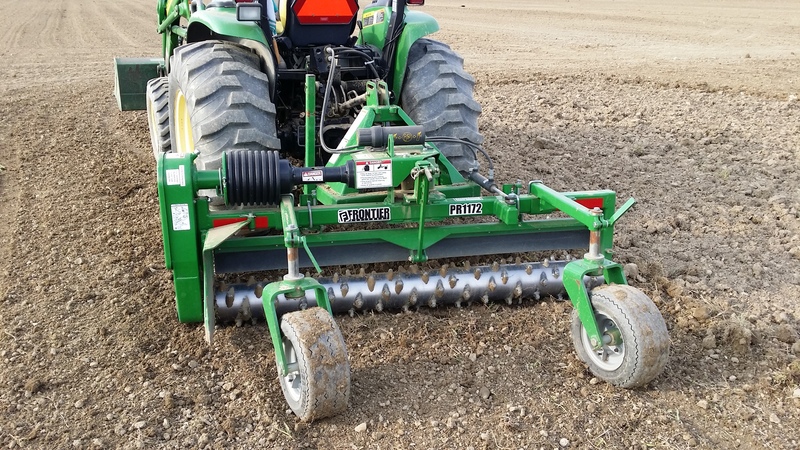 MAY 14, 2015 - Initial rototilling and discing completed. 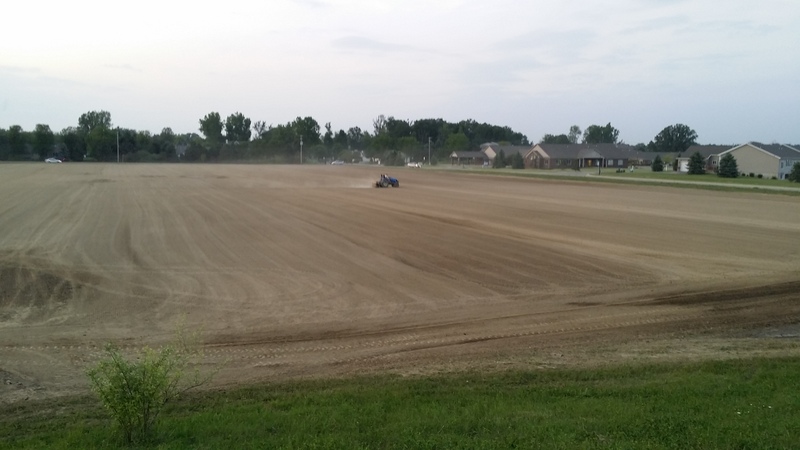 MAY 16, 2015 - Harley raking to move clods and rocks into windrows for removal by loader buckets. 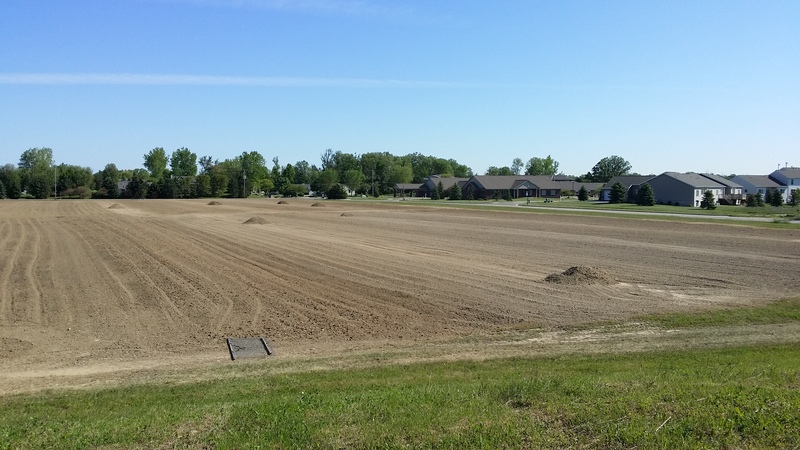 MAY 23, 2015 - Rocks and debris piled up for removal by loader tractors. 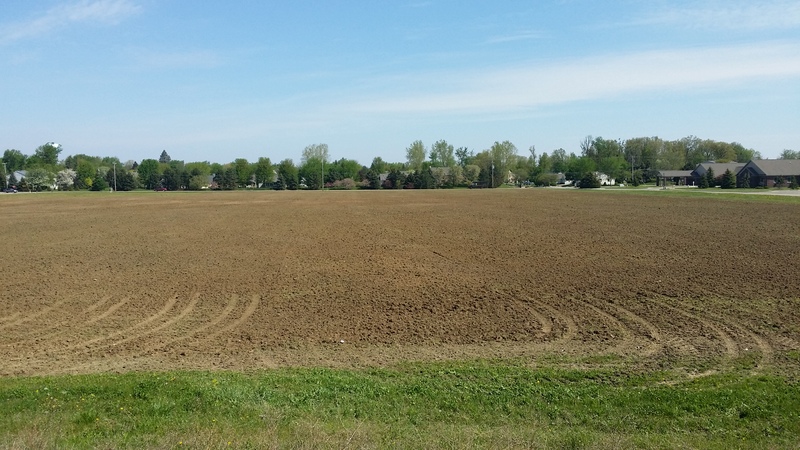 June 6, 2015 - Planting grass seed on 10.5 acres with a 6 foot wide planter in 2 directions. JUNE 26, 2015 - Fuzzy green popping through the brown. 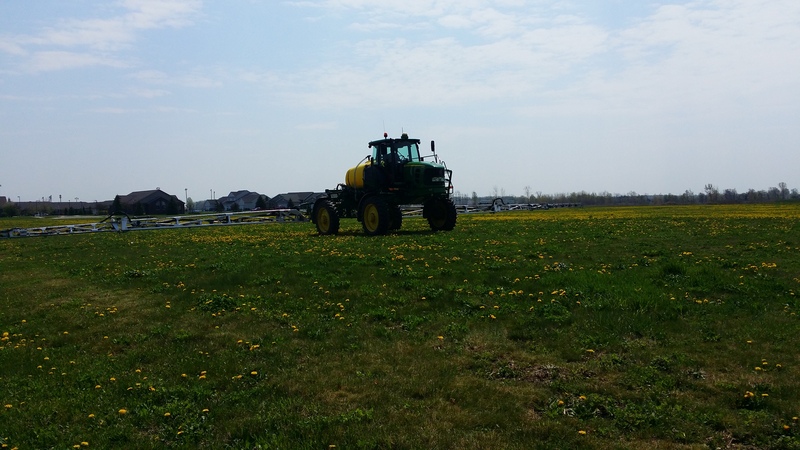 First application of liquid fertilizer. 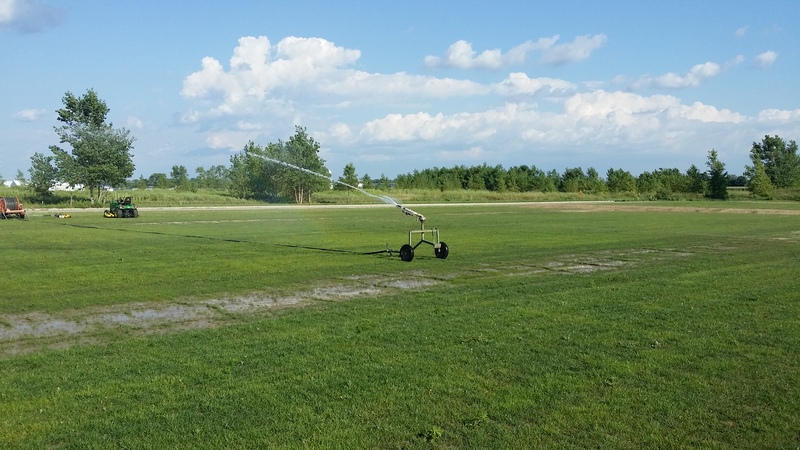 JULY 23, 2015 - Countless hours of mastering the art of moving water onto the fields. 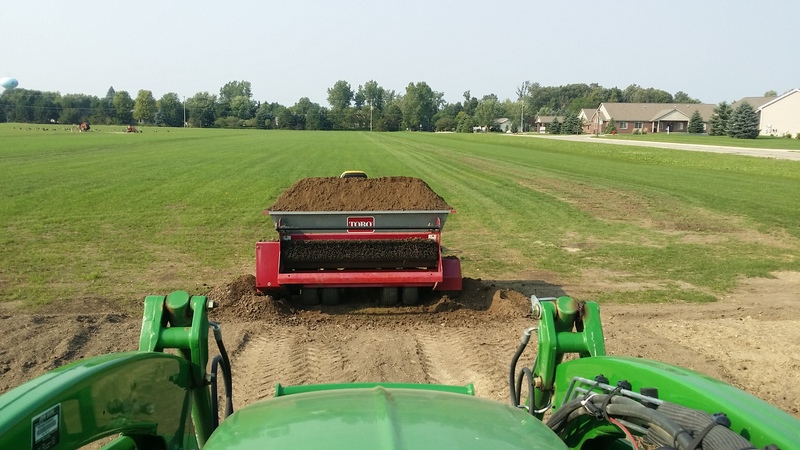 AUGUST 1, 2015 - Top dressing fields with top soil after core aeration. 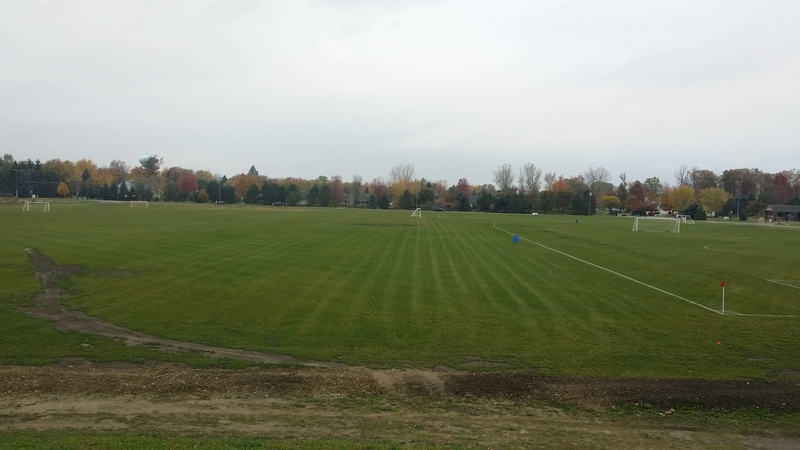 SEPTEMBER 12, 2015 - 3 out of 5 fields are ready for the very first games of the fall season.